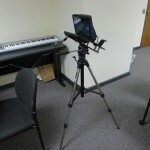 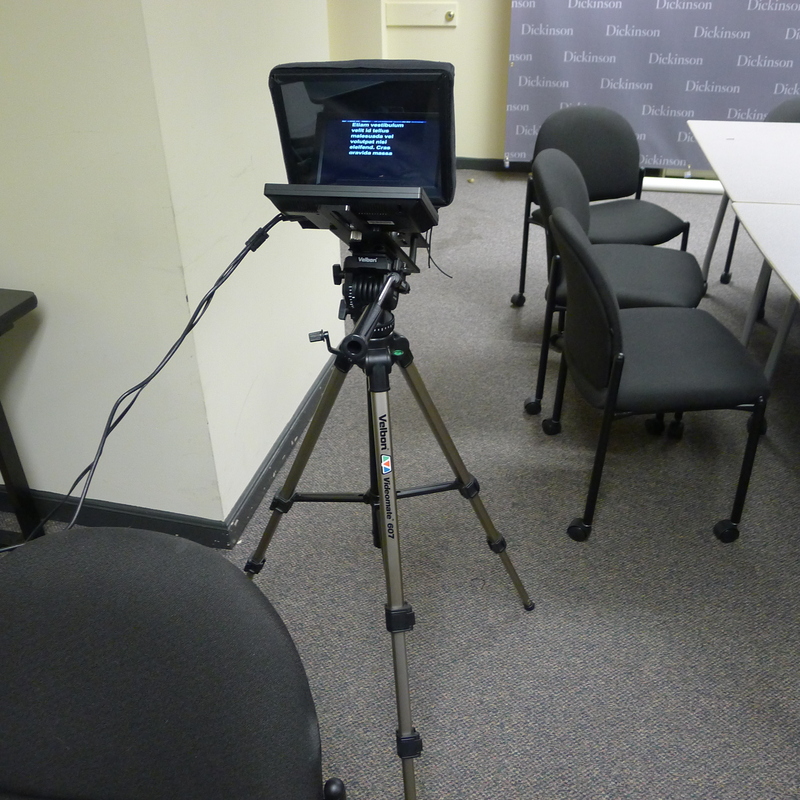 The Media Center is happy to introduce it’s newest piece of equipment; A Teleprompter! 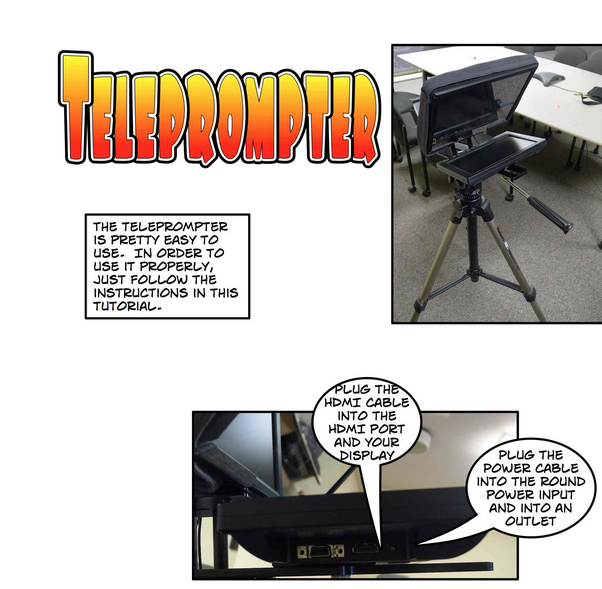 The teleprompter will make it much easier for students and professors to work on video projects involving tough or long scripts, without needing to look away from the camera to check a paper copy of the script. 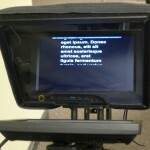 Using the free web site Cueprompter.com, you are able to paste a script and set a scroll speed for the teleprompter, making it useful for any size script being dictated at any speed! Any students or professors who want to work with this piece of equipment are welcome to, it is available for normal check-outs and reservations. 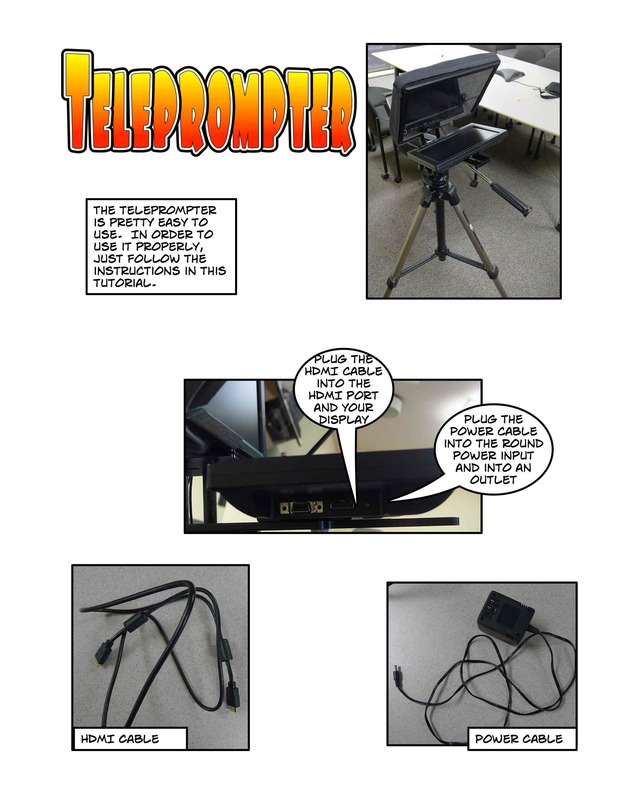 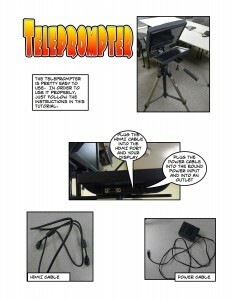 Here are a couple of pictures of the teleprompter in action!